We recently talked about Hawaiian coffee. To run with the same theme, this article is going to focus specifically on eating for cheap in Hawaii. It is completely possible to find cheap food in Hawaii that not only tastes great but also gives you an idea of the flavors and culinary methods that are representative of this tropical paradise. Eating in Hawaii is a real treat because there are so many native foods on the islands that are exotic and delicious—a buffet, so to speak, of tastes, aromas and presentations that are culturally and gastronomically unique. There are some wonderful restaurants on the islands of Hawaii that offer locally sourced, seasonal ingredients on their menu—but first, let’s talk about how you can find some cheap food in Hawaii outside of the restaurant setting. As you venture around the islands, you’re bound to come across some roadside fruit stands that sell mangoes, coconuts and other goodies. You’ll also be able to buy fresh juices and nuts and veggies that are grown on the island. Picking up snacks from a Hawaiian fruit stand means you’ll be able to get inexpensive and tasty food to eat while you’re on your adventures. You can even bring some home and turn it into a meal, should you be staying at a property with a kitchen. A couple of noteworthy fruit stands in Hawaii are Henry’s Place in Waikiki, which has been called the “best fruit stand on the island,” and MAI, in Honolulu’s Chinatown, which specializes in tantalizing Asian fruits. A local and visitor favorite is the South Kona Fruit Stand, on The Big Island. Between mile markers 103 and 104, just south of Kona, sits one of the best fruit stands in the state of Hawaii. For less than $10, you’ll be able to walk away with juicy tangelos, cherimoyas, strawberry papayas, chocolate-covered nuts and fruit smoothies, most of which are grown on organic farms. Another way to score fresh fruits and vegetables for a great price is by visiting some of the farmers markets on the islands. You’ll be able to pick up freshly baked breads and homemade jams, as well as local and seasonal produce that is almost all organic and cheap. The Hilo Farmers Market has been a staple on The Big Island for 17 years and is open “from dawn till it’s gone” in Hilo’s historic downtown. Come to this farmers market for inexpensive tropical produce and other scrumptious delights, such as jaboticaba berries, lychee, jackfruit, rambutan, freshly baked pastries with coconut and even Peruvian tamales. You can eat like a king for just $0.50 per pound in some cases, or up to $2 per pound for high-demand fruits like pomegranates. The following restaurants serve great Hawaiian food that is cheap, incredibly delicious and, most of the time, quite good for you. At Hawaiian Irie Jerk, you’ll find authentic Jamaican dishes created by Chef Cassie, who brings a flavorful mix of Jamaican and gourmet Caribbean cuisine to his menu. Dine on meals like Ital stew, veggie patties, tofu delight, Rasta pasta and salads. Enjoy Chinese, Italian, Thai, American and other cuisine for cheap at Greens and Vines, which also serves raw foods, beer and wine. There are several Loving Hut restaurants scattered about Hawaii, and you may even recognize this healthy fast-food chain from your hometown. Loving Hut is part of an international chain of vegan restaurants that are all individually owned, but they all serve the same great affordable food like juices, rice bowls, veggie burgers, non-alcoholic beverages and smoothies that come from organic sources. Simple Joy opened in the fall of 2010 and offers a huge selection of pastas, Vietnamese entrees, noodle soups, rice dishes, mock meats, burgers and sandwiches. When you visit Hilo Coffee Mill on The Big Island, you’ll be in for a delightful experience. Here you can sample some of the gourmet teas and coffees that are harvested and brewed on the island. Located on 24 stunning acres between Hilo and Volcanoes National Park, Hilo Coffee Mill features a tasting bar where you can try coffees and teas before you purchase them and a full menu of cheap coffee drinks, smoothies, breakfast and lunch items, and more. Sit on their cozy lanai and people watch as you enjoy your meal. 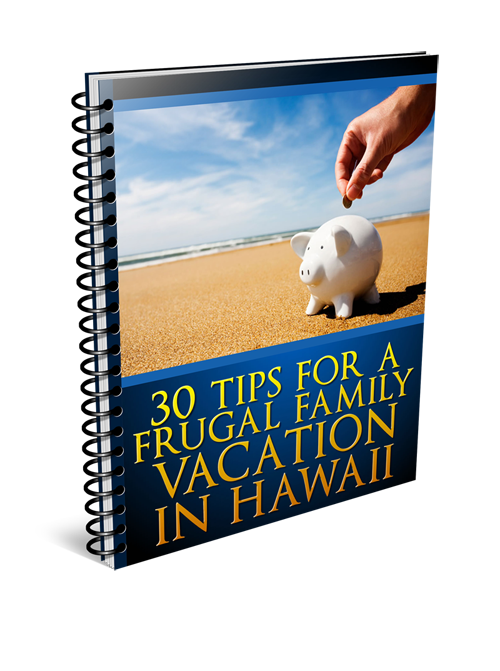 Now you have a little bit of insider information on how to eat cheaply when you’re visiting Hawaii. 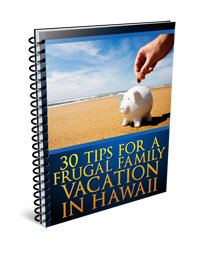 Take advantage of these opportunities and you’ll be eating like Hawaiian royalty without going bankrupt!